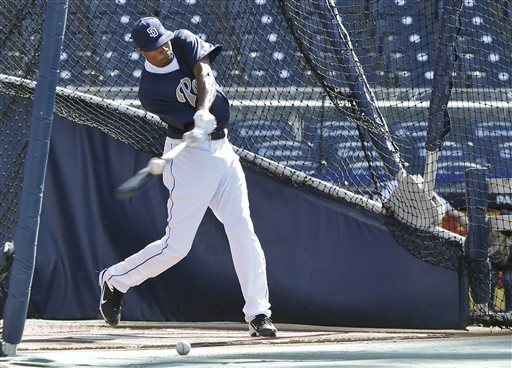 That’s San Diego Chargers wide receiver Danario Alexander taking BP with the Padres during warmups before a game against the Giants on Friday, April 26, 2013. 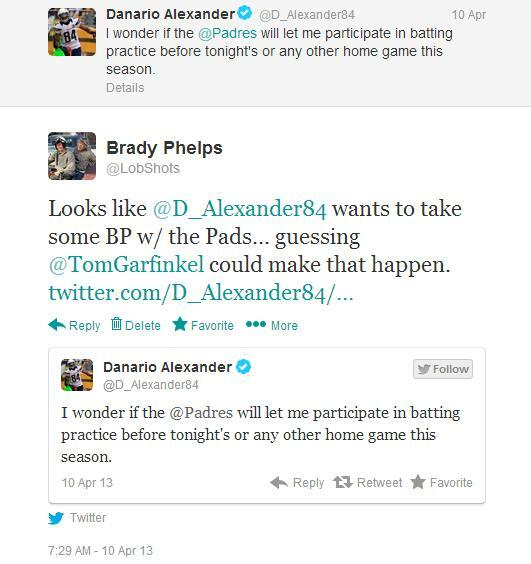 Back on April 10th, I sent out the following tweet to Danario and Padres president/CEO Tom Garfinkel. That was April 10th. Danario hadn’t signed a contract with the Chargers yet. Fast forward to April 25th… Danario signs his tender with the Chargers. That same day, I get an email from none other than Tom Garfinkel. Brevity at it’s finest. 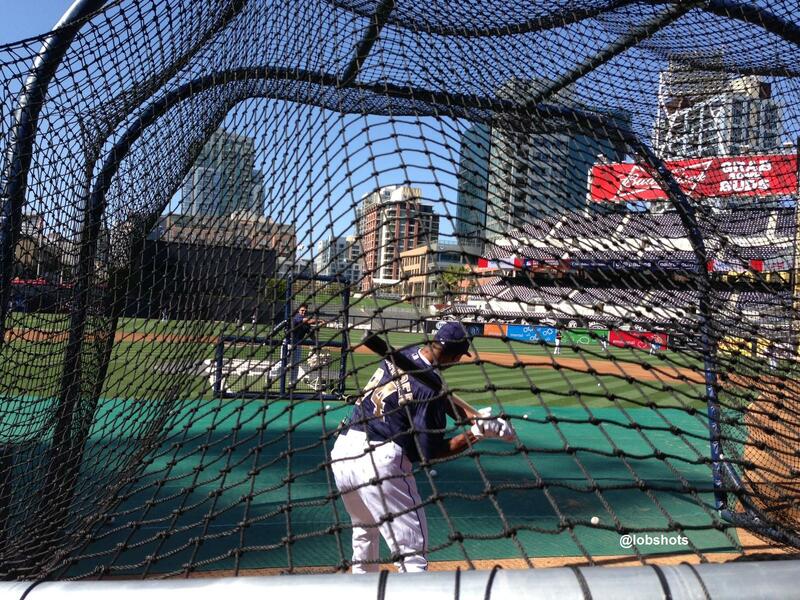 “Danario BP tomorrow. You’re welcome to come. It happened bc I saw your tweet.” Say what? Did I just get invited down to the field to watch the Chargers top wide receiver take batting practice with the Padres because I sent out a tweet? You’re damn right I did… me and my entire family. Annie Heilbrunn was down there as well and she has a pretty sweet video and interview with Danario. It’s well worth a watch if you’re a fan or baseball or football. If you watch closely, you can even see my wife and me chasing our kids around in the background. The experience was heavenly. How rad that some schmuck blogger can send out a tweet, and a couple weeks later… I’m standing on a Major League Baseball field with my family, brushing shoulders with professional athletes, and watching an NFL wide receiver take batting practice. Thanks so much to Tom Garfinkel and the Padres for letting my family be a part of it. Just amazing. This entry was posted in Baseball, Football, Media, MLB, NFL and tagged Danario Alexander, Padres, padres batting practice, San Diego Chargers, tom garfinkel. Bookmark the permalink.